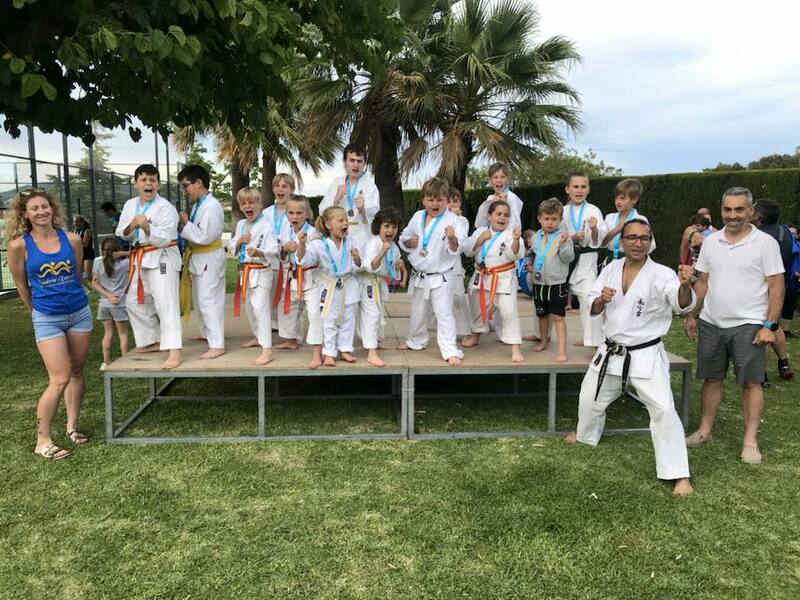 A new 100msq tatami has been bought for the Washinkai Karate School in Benitachell with a subsidy of 2,850 Euros from Alicante’s Provincial Delegation. Primarily bought to improve the facilities of the karate club, it is also available for gymnastics and even students of Yoga. The club became eligible for the 2,850 euro subsidy due to the town having a population of under 5000. The karate’s tatami is a system of interlocked mats which is reversible and has been approved by the World Karate Federation. It is made of mono-density, closed cell polyethylene, fire-resistant, slip-resistant, impermeable, hypoallergenic and easy to clean. Its surface is intended to simulate the traditional Japanese tatamis made from rice straw. With the support of the regional council, Benitachell sports facilities are now amongst the best in the region. The provision of the tatami is in addition to the new paddle tennis courts, artificial grass in the football field and official equipment for all the pupils in the sports schools. “We wish to show our support and commitment to sports in the town by providing them with high-quality equipment. We reached an unprecedented 570 registrations between adults and children last year. Almost every family in the town can benefit from this commitment and the high-level of tuition available. There are people enrolled who have been practising multiple sports in our schools, which is proof of our commitment to the provision of services.” According to the Councillor for Sport, Manolo Segarra.